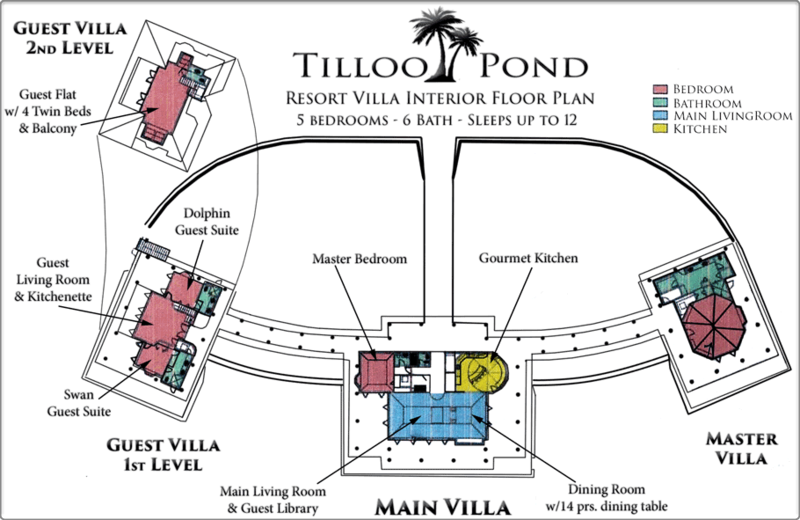 Tilloo Pond is comprised of three separate villas connected by covered walkways. The main villa has a gourmet kitchen, dining room, living room/conference room and a master suite. The secluded and very private Master Suite Villa is one of the most beautiful and romantic rooms in the Caribbean. 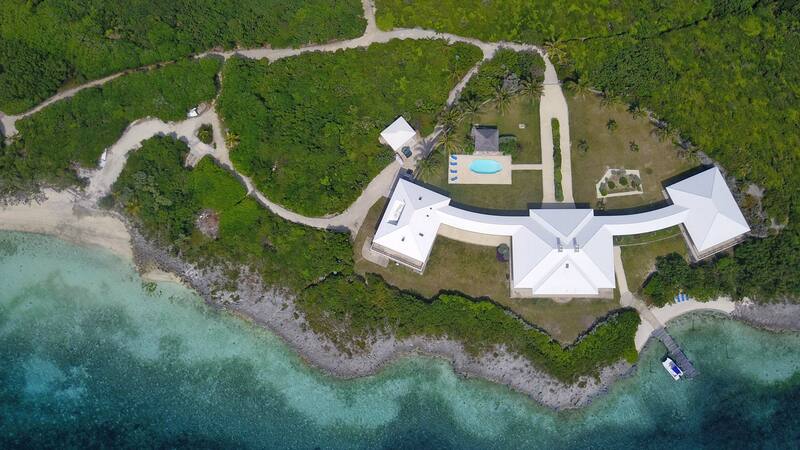 The two-story guest villa has a living room, a master suite and two bedrooms all with their own bathrooms and private balconies overlooking the surrounding islands. Rental boats and advanced reservations are recommended. Our hosts can provide expert instruction or drive the boat. We would be happy to arrange a rental boat that is just right for your group. Basic transportation to and from local islands is provided at no extra charge. For those guests who wish to dock private boats, Tilloo Pond property features a fully protected harbor known as Tilloo Pond with a docking facility, complete with electrical and water hookups.